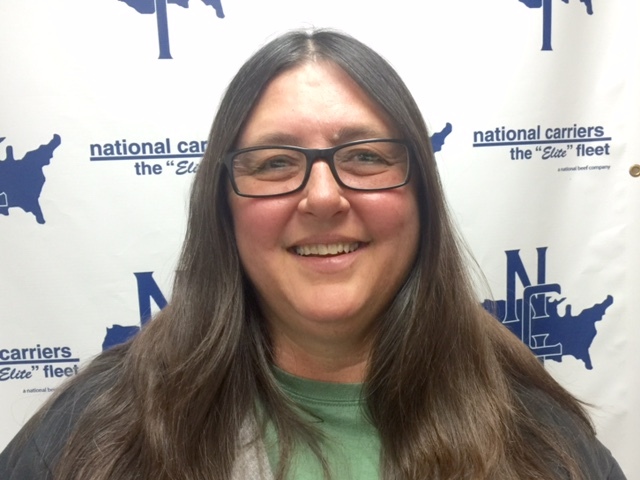 National Carriers Inc. has named Donna Davis as Driver of the Month for October 2015. She is a resident of Junction City KS. Davis began driving for National Carriers in March of 2014. She operates a company truck in the NCI Hide division. “I am still in shock it’s hard to believe I was selected as driver of the month. I just focus on doing my job safely and on time” Davis shared. Each Driver of the Month is a finalist for NCI Driver of the Year 2015. Each monthly winner receives a $500 bonus and the Driver of the Year is awarded a $5000 prize. National Carriers is a diversified motor carrier servicing all 48 states in the continental United States with transportation offerings which include refrigerated livestock and logistics services. At National Carriers our mission is to be the safest most customer-focused and successful motor carrier in our class. Being part of the Elite Fleet® means enjoying a career worthy of your skills and commitment to excellence. We believe long-term success is waiting for you at National Carriers® one of the nation’s oldest most respected and largest carriers. Learn about our exciting opportunities for owner operators as well as company drivers. If you are interested in leasing a truck National Carriers® Leasing Division is the ideal partner to help you get started.